If you are a team sport athlete chances are your working on power development like jumps and power cleans. If you are an age group performance athlete this is where things may start to get a little fuzzy in terms of power development in the gym. For the majority of people who want to simply lose fat, build muscle and move and feel better, power development does not seem to fit in the equation. Today I want to share a couple of reasons why everybody should train for power development in some shape or form. First a caveat: power training is not just Olympic Lifting, jumping on to boxes etc.. It takes many forms like simply pushing a sled, throwing a med ball, or doing little mini bounds are an example of power training albeit at an easy to learn level. 1. Impose a stimulus for the body to adapt. Getting stronger on the compound lifts along with single leg and arm variations lays the foundation and the potential to be explosive. At some point you will want to convert that strength to power. Doing so creates a different stimulus on the body and fatigue. If you build up a certain level of accumulated fatigue then you impose a strong stimulus on the body for change. Ask anybody who does 8-10 power cleans with 60-7-% of 1 RM. After your done you feel like you done 10 minutes of sprinting. Its very tiring to complete power training movements especially with higher repetitions. 2. Exercises can be fit to the individual: If your a football player and you are a linebacker it would benefit you to move big weight quickly. Just like you would want to achieve on the field (move big bodies quickly.) If your a runner, you would want to work on single leg mini bounds. This movement teaches you to absorb force, and land correctly. Correlating the movement of running. If your someone who wants to just lose fat and gain muscle movements like pushing a sled are safe easy and effective for body composition goals. 3. It will elevate your other lifts. Exercises that have stood the test of time and what I consider the “big rocks” are here and will continue to be. Deadlifts, squats, bench press, pullups, overhead press, weighted carries etc.. Doing power movements is dominated by the nervous system, and when you do an exercise like a clean and press or a box jump your body has to be neurally efficient. 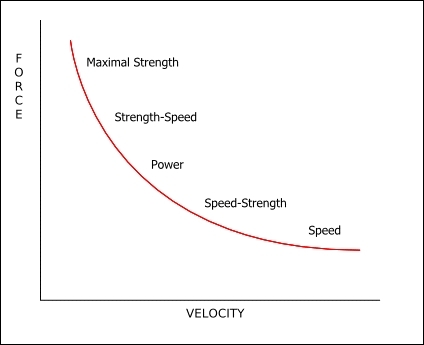 When moving a load with high velocity comes in to play, other lifts that call for maximal strength (loads of 90% or higher) can be handled more easily because of the neural efficiency. So working on power movements will help to set PR- personal best lifts. Chances are your doing some power training at Precision Fitness. If your not a client, and are interested in trying a power movements, shoot me a message and I will happy to help you out! ©2019 Precision Fitness | All rights reserved. Your individual results will vary.